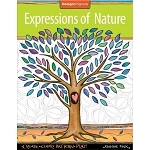 Create, color, pattern, and play with Zenspirations bye artist Joanne Fink! Discover a bountiful garden of 30 whimsical, yet not too complicated, flower designs in this adult coloring activity book. The simple designs are perfect for people with Alzheimer's, other dementia, or other cognitive disability. Offers 30 pages of designs, printed on high quality extra-thick paper. 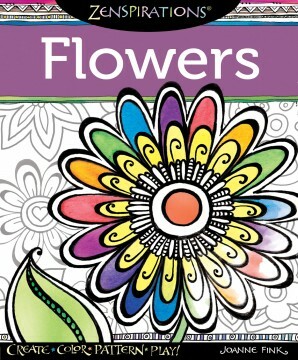 Zenspirations Flowers is perfect for decorating with colored pencils, markers, or gel pens. Each one-sided page is perforated so you can easily remove your art to display wherever you want. A great form of art therapy! Size: 8.5" x 11"
I am a recreation therapist at a mental health hospital in geriatrics. I like the pictures in it and I don't think they are too intricate like most adult coloring books (which don't even relax me!). I highly recommend this book! Mom is enjoying the coloring book for the most part. Some pages have designs that are too small/complicated for her to work with. Overall a decent addition to our daily activities.